Since inception, the Pupkewitz Foundation has been playing a strong role in Education, particularly through After-School Support programmes, which aim to improve educational standards nationally in Science and Mathematics. One such programme is the Mathematics Spring School that was initiated in the Erongo Region last year, and will be rolled out in the Khomas Region this year. The Pupkewitz Foundation is the sole sponsor of the Mathematics Spring School, committing N$195 500.00 for 2018. 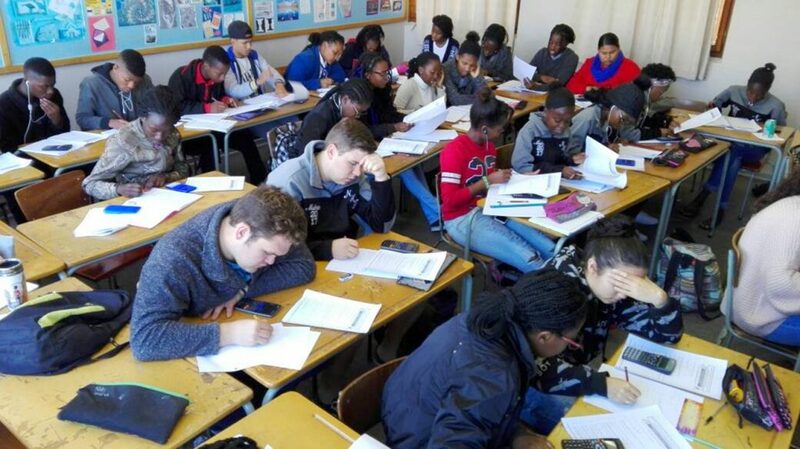 The aim of the Mathematics Spring School is to prepare Grade 10 and 12 learners in the Erongo and Khomas Regions for the high-stakes year-end external examinations. Learners from Government schools within the regions will be selected based on their performance in mathematics and their teachers’ recommendations. The spring school which will be held during the August school holiday over a course of 5 days will cater for ninety Grade 10 and Grade 12 learners in each region. The spring school will be facilitated by well-qualified teachers with over 15 years’ experience in teaching mathematics. Last year’s Mathematics Spring School held in Swakopmund was a great success, and the motto was, “the only way to learn mathematics is to do mathematics.” There was a minimal amount of lecturing, and learners were provided with booklets consisting of well-prepared exercises and previous examination questions to work through at their own pace, with assistence from the facilitator on an individual bases. Learners also expressed their appreciation for the opportunity provided. “The classes did not just help to refresh our minds, but helped us to get a better understanding of our work,” said one grateful learner.